CRICKET: Pat Cummins has warned England to brace themselves for the pent-up wrath of a caged lion as he prepares to fly off the leash for the first time in a home summer. Six years after capturing the imagination of the cricket world, six Gabba Tests have gone by with Cummins either injured or wrapped in cotton wool. 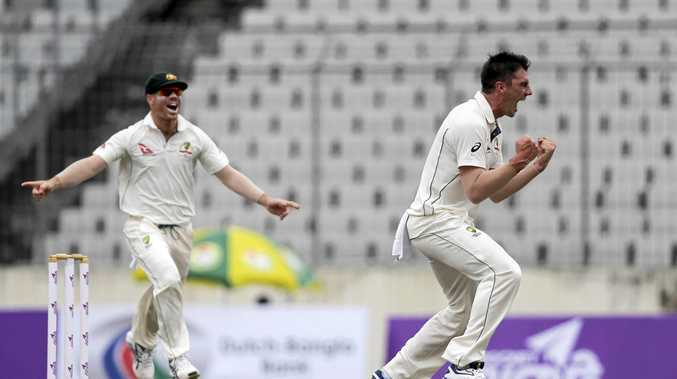 However, any lingering fears about the 24-year-old's much-scrutinised body were put to rest two months ago in Bangladesh when, in debilitating 40 degree heat, he not only survived being the lone fast bowler in the attack, but made a docile sub-continental deck rage like the WACA. 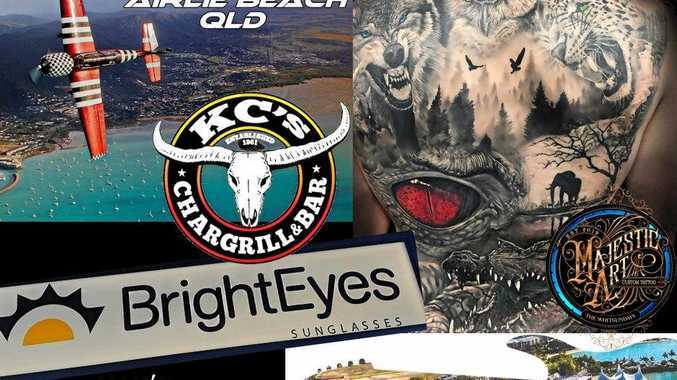 Cummins has been sidelined so long he's already finished a Business Degree at the University of Technology Sydney, but finally, the wait is over and Australia's new spearhead is making no secret of the bouncer barrage he prepares to rain down on England's vulnerable top order. 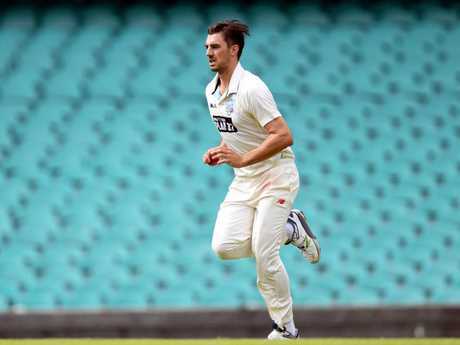 "I hope you practice your (work against) bouncers because we'll be bowling a lot of them I think,” was the blunt message to England from Cummins as he prepares to start his summer for NSW against Victoria on Sunday at North Sydney Oval. "No one really likes it if you've got real pace and real accuracy. Especially those kind of guys. "(England) play on slower wickets, not as much bounce, so over here and in South Africa as well, it's one of our biggest strengths. "We grow up on these wickets and as bowlers getting bounce has always been really important. I think trying to make it as different to their home conditions as possible. "Bouncy, fast wickets and short balls (will) definitely do that. Cummins - like teammate Mitchell Starc - is out to take the baton from Mitchell Johnson who was the chief intimidator in Australia's 2013-14 whitewash. "I'd love to play that role,” Cummins said. The menacing right-armer, who will keep in regular contact with mentor Dennis Lillee in the lead-up to the first Test, said Joe Root is the wicket the Australian attack will be going after. 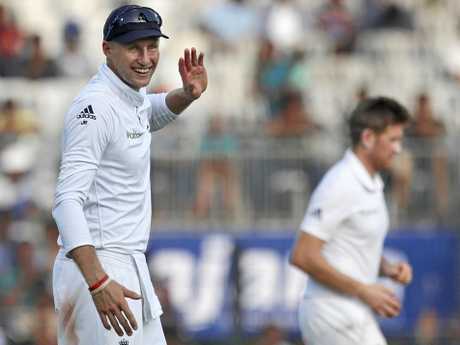 "Joe Root is their in-form batsman, he'll be the prized wicket along with Alastair Cook at the top,” he said. Cummins has played four Test matches this year, all on the sub-continent, and all indicating that the long wait will be well and truly worth it for Australian cricket. He grew so used to missing home summers that it became normal to watch on as a spectator, but in the second Test in Chittagong back in September, Cummins received the ultimate confidence boost. For the first time in more than 40 years, Australia went into a Test with only one quick - and he was the man backed to do it. "Having the selectors and the captain's confidence to pick me as a sole bowler in a Test match. A year or two ago I never would have thought,” he said.